Battles between the Tea Party and traditional business interests are reshaping capital's favorite party. In most ways, the 2014 midterm elections represented more of the same for mainstream American politics. The Republican Party’s increased majority in the House of Representatives and their capture of the Senate, despite appearances, does not signify any more of a “sea change” in public opinion than their 2010 victories. The substantial shifts in party Congressional representation were the results of miniscule shifts in the popular vote. In the more representative House, the Republicans won 52% of the popular vote, but secured 57% of the seats. In the Senate, a model undemocratic body, the Republicans won only 51% of the vote, but now hold 54 seats. Continuing declines in voter participation only further exaggerate the effects of small shifts in partisan voting patterns. Despite claims from both the mainstream and progressives, voter participation in 2014 hit its lowest level since 1942. Only 36.4% of all eligible voters turned out in 2014, compared with 40.9% in the 2010 midterm election — a drop of over 10%. Not surprisingly, working-class and poor voters — generally those earning less than $50,000 — are overrepresented among “non-voters.” According to the Census Bureau, slightly over 75% of all Americans earned less than $50,000 in 2010. But only 36% of those who voted earned less than $50,000 a year. Put simply, tiny changes in voter preference among an increasingly professional, managerial and wealthy electorate propelled the Republicans to majorities in both houses of Congress. Working-class and poor people, traditional Democratic constituencies, have become profoundly alienated from a party who has consistently disappointed them as it embraces neoliberalism and austerity. There were some minor changes in the impact of capitalist campaign financing on the election results. As a result of the Supreme Court’s Citizen United decision, it has become more difficult to track the sources of capitalist funding to the two major parties. Contributions from individual businesspeople and corporate political action committees that are public, increased slightly from $1.358 billion in 2010 to $1.433 billion in 2014; while the proportion of capitalist funding actually dropped from 74.2% to 69.8%. “Dark money” from organizations that do not report all or some of their donors jumped sharply from $160.8 million in 2010 to over $219 million this year. Corporate funding went overwhelmingly (58%) to Republicans in 2014 especially compared to 2010 when Republicans received only 49% of capital’s largesse. What may be different about the 2014 elections, especially compared with 2010, is the relationship of social forces within the Republican Party. 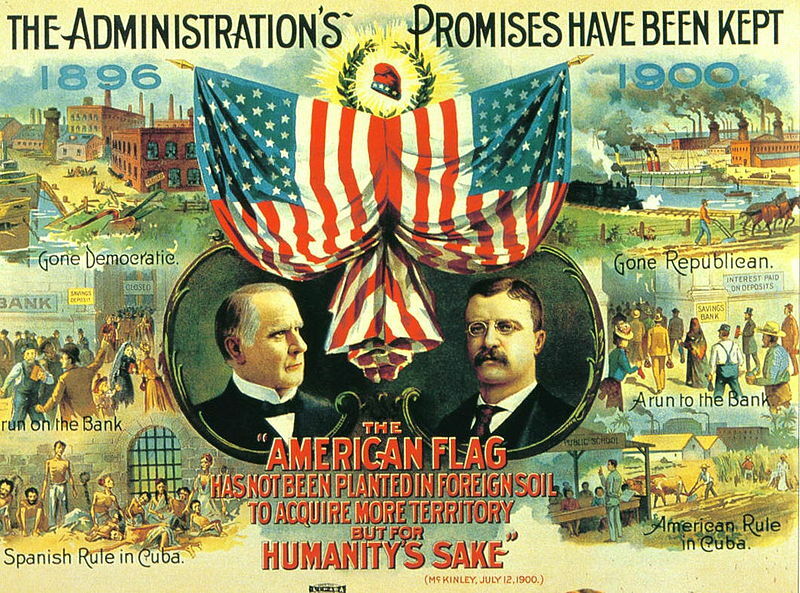 Since the Civil War, the Republicans — representing the new industrialist class — have been American capital’s “A-Team.” While capitalists in certain sectors (telecommunications and entertainment), from newer immigrant groups (particularly Jews and Catholics), and urban real estate and construction have dominated the Democratic Party for over a century, the Republicans have always been capital’s preferred political representatives. Capital turns to the Democrats when the Republicans have been compromised by scandal or political missteps, or during periods of popular insurgency when the former’s ties to the labor officialdom and the middle-class leaders of many social movements can be useful. However, no matter how far the Democrats drift to the right and embrace pro-capitalist policies, capital views the Republicans, with their historic links to key transnational industrial and financial corporations, as their most reliable spokespersons. The rise of the right-wing populist Tea Party threatened to undermine capital’s traditional dominance of the Republican Party. As Kim Phillips-Fein pointed out, the Citizens United undermined “older ruling class institutions, making it far more difficult for the business lobby to act in any concerted way. Citizens United enables wealthy individuals to spend lavishly and to do so with little sense of collective purpose.” As a result, right-wing billionaires like the Koch brothers and their Club for Growth have backed the Tea Party since its emergence in 2009. However, it is professionals, managers, and small businesspeople who lead the Tea Party and provide the bulk of its electoral support. On many issues, capitalists and the Tea Party agree. They both want to lower corporate taxes, cut social services, dismantle any and all regulations on capital, and, of course, destroy what’s left of the labor movement. However, middle-class populism is also hostile to capital. Senator Ted Cruz of Texas, a key Tea Party leader, was quite clear: “Big business is very happy to climb into bed with big government. Republicans are and should be the party of small business and of entrepreneurs.” The conflict between capital and a radicalized middle class is clearest on the Tea Party’s willingness to shut down the Federal government and risk a credit default, as well as their complete hostility to immigration reform. The Tea Party is a “political Frankenstein” for capital, as Phillips-Fein puts it. While important segments of the capitalist class funded Tea Party candidates during the 2010 election, by early 2011, they found themselves endangered by their own creation. Specifically, the Tea Party’s opposition to an immigration reform that would maintain a workforce without citizenship rights and their willingness to risk the global credit of the US state and shut down the government alienated the two most important capitalist-financed and -led policy planning networks — the Chamber of Commerce and the Business Roundtable. While the Chamber represents a broad cross section of American capitalists and the Roundtable speaks for the largest transnational corporations, both opposed the Tea Party on these issues in 2011 and 2012. Scapegoating immigrants for rising crime, deteriorating public services, and growing unemployment, segments of the middle class and the white working classes support tightening of the borders and blanket deportations, and oppose any form of amnesty or legalization for undocumented immigrants. Capitalists, however, have a very different perspective. Not only do high-tech industries want access to skilled foreign professionals, but labor-intensive industries like agriculture, construction, landscaping, domestic service, child-care, health care, and hospitality rely on low-wage, vulnerable immigrant labor. Capital wants a precarious migrant workforce without legal status, disciplined by selective deportations, to labor for substandard wages in these industries. Both the Chamber of Commerce and the Business Roundtable have been leading the fight for an immigration reform that would preserve and regulate a new migratory workforce in the US; and in opposition to wholesale deportations and other policies that reduce the immigrant workforce. The Business Roundtable has long advocated a comprehensive immigration reform that would “strengthen border security,” allow more workers, skilled and unskilled, to enter the US on temporary work visas, and provide a “path to citizenship” for the millions of undocumented immigrants already in the country. In 2010, the Chamber joined the American Civil Liberties Union and the League of United Latin American Citizens in challenging Arizona’s anti-immigrant law (SB 1070) which resulted in thousands of immigrants fleeing the state in fear of arrest and deportation. More recently, the Chamber has argued that comprehensive immigration reform is necessary to “address worker shortages, not only in high-skilled jobs, but also in lesser-skilled industries . . . like home health care, landscaping and hospitality.” The Tea Party’s opposition to any immigration reform that is not based on mass deportations of those in the United States without papers has profoundly alienated US capitalists. Like the Tea Party, business also wants massive cuts to social spending. However, the movement’s political brinkmanship — its willingness to let the country default by failing to raise the debt ceiling in 2011 and to shut down federal government operations in 2013 in order to leverage cuts in spending or short-circuit Obamacare — has also estranged capital. The fall 2013 government shutdown marked the end of any uneasy alliance between the Tea Party and the capitalist class. John Engler, president of the Business Roundtable, and leaders of the Chamber issued numerous statements to the press condemning the closure and again warning of the dire consequences for capital of a government default. The clearest sign of a schism between the Republican populist right and capital was the emergence of “The Campaign to Fix the Debt.” Originally formed in early 2012 in the wake of 2011 debate on raising the debt ceiling, Fix the Debt brought together dozens of former senators and congressmen and over 150 CEOs of some of the largest US transnational corporations, with a budget of nearly $50 million. Their “core principles” formed the basis of the proposed “grand bargain” of closing corporate tax loopholes while lowering the overall tax rate “in exchange” for “restructuring” federal pensions, Medicare, Medicaid and Social Security. While the “bargain” garnered the support of Obama, the Democratic leadership and mainstream Republicans, key leaders of the Tea Party refused to accept this compromise, sparking the shutdown. With the first Republican primaries in March 2014, the Chamber of Commerce saw the first fruits of its efforts to discipline the Republican Party in the interest of capital. John Cronyn of Texas soundly defeated his Tea Party challenger, Steve Stockman by a margin of 59% to 19%. In the next wave of primaries in early May, the results were a bit more mixed. Mainstream Republican Shelley Moore Capito of West Virginia garnered 87.5% of the vote, but Chamber-backed candidates barely squeaked out a victory in North Carolina (45.7% for Thom Tillis versus 43.6% for two Tea Party candidates) and lost in Nebraska to a “moderate” Tea Party candidate Ben Sasse in Nebraska. Chamber of Commerce backed candidates swept the Republican primaries in Kentucky, Idaho, and Oregon on May 21. Senate minority leader McConnell used a massive spending advantage to easily defeat his Tea Party challenger 60.2% to 35.4%. In a key Idaho primary, Mike Simpson routed the Tea Party’s Bryan Smith 61.6% to 38.4%, with nearly $2 million in support from the Chamber and other mainstream groups. During the summer 2014 primaries, Chamber candidates were generally successful, but there were important stumbles for capital’s struggle to discipline the Republicans. Tea Party challengers were defeated in Kansas, Tennessee, and South Carolina, returning mainstream Republicans committed to immigration reform and keeping the federal government operating. However, the Chamber suffered a near setback in Mississippi and a stunning defeat in Virginia. In the initial Mississippi primary, incumbent Senator Thad Cochran actually received approximately 1,400 fewer votes than his Tea Party challenger. Because neither candidate had received an absolute majority, there was a run-off in September, where Cochran squeaked out a victory of fewer than 7,000 votes — mostly from black Democrats in an open primary. Most media commentary have argued the Chamber and other capitalist lobbying organizations’ strategy was successful, producing a primary season where “mainstream Republicans have enjoyed most of the victories,” which allowed the Republicans to increase their majority in the House and win the Senate in November. The business lobby’s caution is well-founded. Only one Republican was elected to the Senate without the endorsement of the Chamber of Commerce — David Perdue of Georgia. However, there is still a substantial number of incumbent Tea Party Senators who follow the lead of Ted Cruz of Texas. Even more worrisome for the capitalist class is the fact that of 244 Republicans in the House, 32 were elected over the opposition of the Chamber. Even though six or seven House Democrats were elected with Chamber Support, at least 13% of the Republican House caucus remain independent of, and possibly hostile to the business lobby’s agenda in the coming Congress. While the thirty-three Republicans outside the capitalist mainstream of their party is many fewer than the six dozen elected in 2010, they may have the capacity to undermine the Republican leadership’s commitment to keeping the government open and paying its bills, and to a comprehensive immigration reform that will regularize precarious migrant labor. The first fruits of the capitalist class’s attempts to discipline the Republican Party could be seen in earlier this month. Despite calls by the still sizable Tea Party contingent on both chambers to shut down the government to block Obama’s Executive Order on immigration, bipartisan coalitions in both the House and Senate pushed through the nearly $1.1 trillion spending plan and kept the federal government running through early next spring. The Tea Party’s presence will be reduced in the next Congressional session. Unfortunately, for much of the “progressive left” in the United States, in particular the leadership of the labor, civil rights, women’s, and LGBT organizations, the main lesson of the 2014 election will be to deepen their support of the rightward-moving Democrats. Despite the abysmal failure of this strategy to deliver any gains for working and oppressed people, other than during the tumultuous social struggles of the 1930s and late 1960s, the forces of official reform continue to tell us to support the Democrats as the “lesser evil” compared with an increasingly militant right-wing. Unfortunately, it is precisely the failure of the organizations of working people in the United States to act independently and against the Democrats that has opened the road to the Right. The absence of any real left-wing alternative to the Democrats has made the Tea Party and other right-wing populists the only viable alternative to a bipartisan neoliberal consensus. Battles between the Tea Party and traditional business interests are reshaping capital’s favorite party.